"It depends on what they do next." Another new trailer has launched for the epic Russian alien arrival sci-fi action movie titled Attraction. We posted three different trailers for this movie all through last year, since it opened in Russia in January of this year. It's just now getting a UK release next January, which is why they've launched their own UK trailer. This is my kind of sci-fi - the VFX are top notch, the concept seems exciting and entertaining, the aliens (and their ship) look cool, I'm really looking forward to this (still). The film stars Oleg Menshikov, Alexander Petrov, Rinal Mukhametov, and Irina Starshenbaum. "The drama unfolds in the ruins of a working-class suburb overwhelmed by the disaster, as the military struggles to control fear, anger, and the eventual clash between Earth and visitors from another galaxy." Take a look. You can still watch the first Russian teaser for Attraction here, or the other full Russian trailer for more. After an alien ship crash lands onto a Russian city, many who have saw the inside and the occupants start to question their own existence while there are those who demand the aliens to leave Earth. "With this film, we want to give audiences a chance to erase all borders of perception and to immerse completely into the story as only seen through the IMAX Experience" (via IMAX press release). 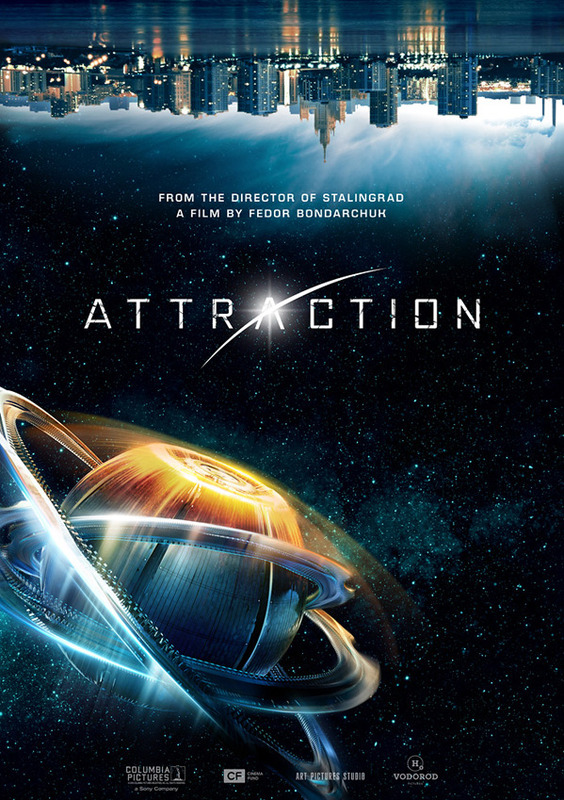 Attraction, or Prityazhenie (Притяжение) in Russian, is directed by Russian actor-turned-filmmaker Fedor Bondarchuk, of the films The Inhabited Island 1 & 2 and the international hit Stalingrad previously. Attraction first opened in theaters in Russia (including IMAX 3D) in January earlier this year, plus a few countries in Europe. The film will open in UK theaters starting on January 19th, but still no US date set yet. Who still wants to see this?